Celluloid Junkie is proud to have partnered with Vista Entertainment Solutions (VES) for the Cinema of the Month series. Vista is the world’s leading cinema ticketing and software solutions company. We won’t just be featuring cinemas whose operators use Vista, but we will surely mention when that is the case and this month’s Olympic uses Vista. CJ would like to thank everyone at Vista for enabling us to showcase some of the most interesting, innovative and inspiring cinemas from around the world. How often do you get to visit a cinema that made Rock ‘n’ Roll history? 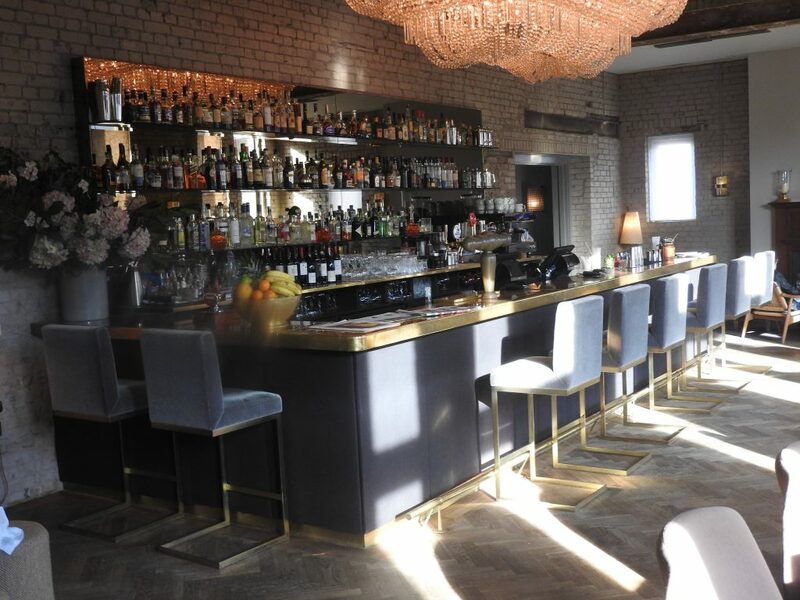 Tucked away in the quiet London suburb of Barnes is easily the UK capital’s most stylish and storied independently owned cinema, the Olympic Studios. 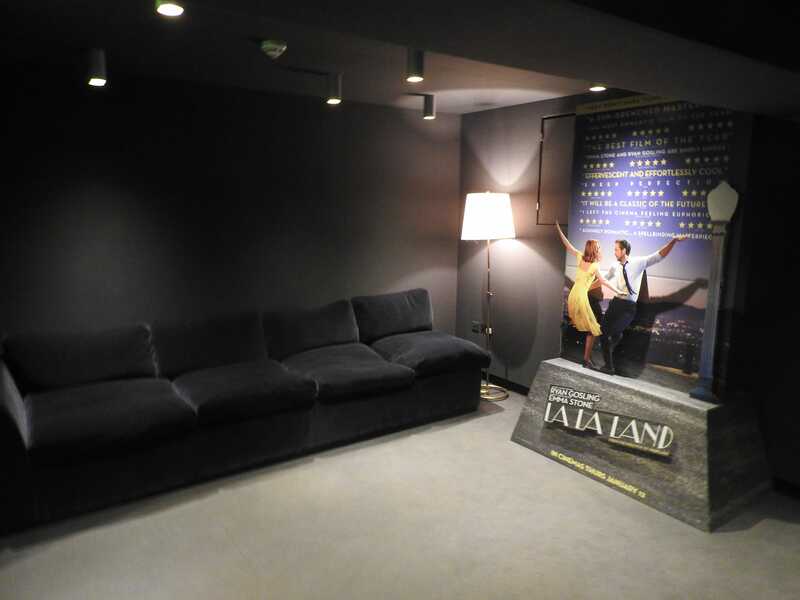 As premium multiplexes like Picturehouse Central spring up and exhibitors like Odeon and Vue scramble to go VIP, this is the venue that snatched the cinema coolness crown from Notting Hill’s Electric when it opened in November 2013. 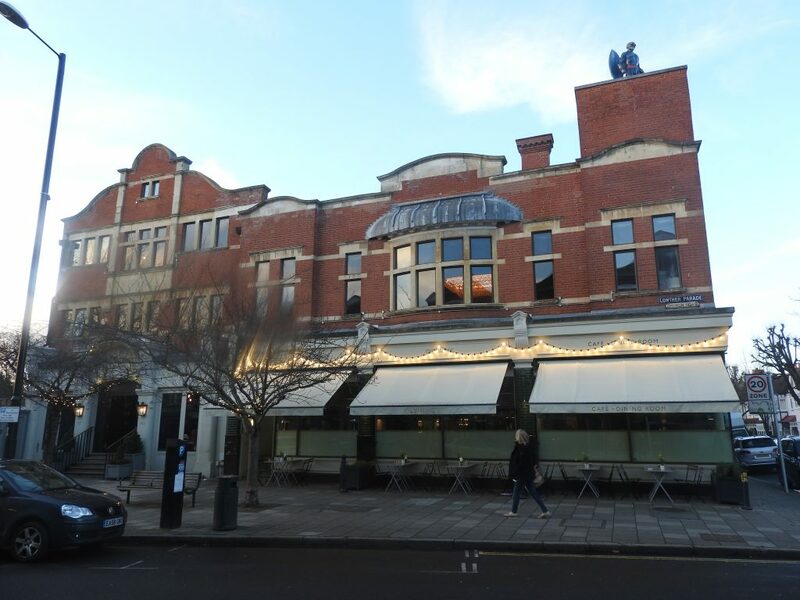 The elegant 110-year old brick building began life as Byfeld Hall, which opened as an entertainment centre for the local community (including as a bioscope), but as the name implies it was a music studio for most of its life. Today before every film, there is a terrific short PSA film about the cinema that begins with the words “Abbey Road had The Beatles. We had everyone else.” It then goes on to show the bands and lists the albums that were recorded there. It is a veritable Who’s Who of British rock and pop (including The Who – having recorded “Who’s Next” and “Who Are You” here). To see the PSA you need to go and buy a ticket for a movie showing at the theatre, but you can get a taste above from the footage of the Rolling Stones recording the vocals for “Sympathy for the Devil” at the Olympic Studios. The Stones would end up recording six consecutive albums there. It is impossible to list all the famous records and songs that were born in the Olympic Sound Studios, but just to give you a taste, they include Led Zeppelin’s debut album and Queen’s “A Night at the Opera”, Procol Harum’s “A Whiter Shade Of Pale”, Jimi Hendrix, Shirley Bassey, David Bowie, The Cure, Eric Clapton, The Jam, Pink Floyd, Roxy Music and Cat Stevens are just a small selection of those who made music history there. Even the Beatles recorded their “All You Need Is Love” here, because the studio could fit a 70-member orchestra. In later years Madonna, the Spice Girls and Bjork would come here to make their albums. But in 2009 U2 became last band to record in the Olympic with “No Line on the Horizon”. You will probably not be surprised that the Olympic Studios is a state-of-the-art two-screen cinema with some of the best acoustics you’ve ever heard. 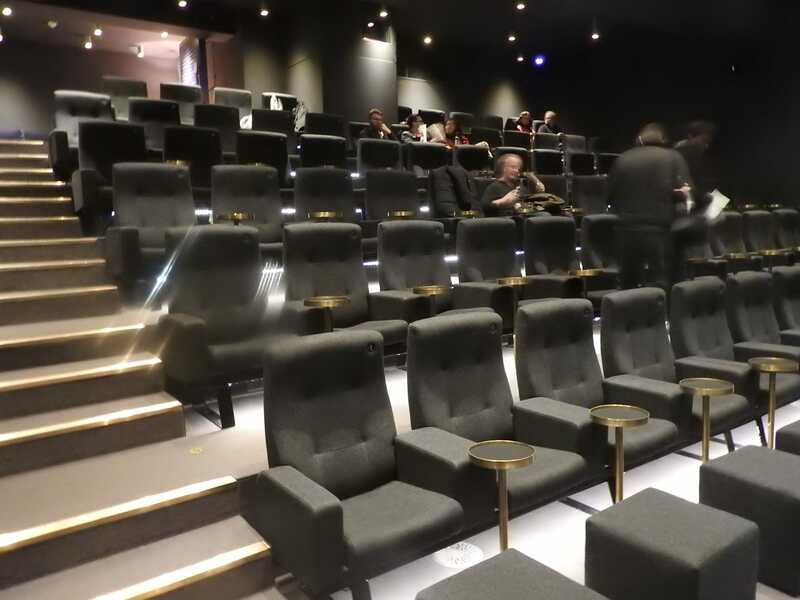 Sound is a legacy at the Olympic, which is why it was one of the first cinemas in the UK to install Dolby Atmos for Screen 1 and a well-tuned Dolby 7.1 for the smaller Screen 2. I visited when it first opened and saw a clip of “Gravity” in Dolby Atmos that impressed me even more than it did in Imax 3D. But having visited lots of premium cinemas since, would I still be as impressed with the cinema as a whole when I returned several years later? 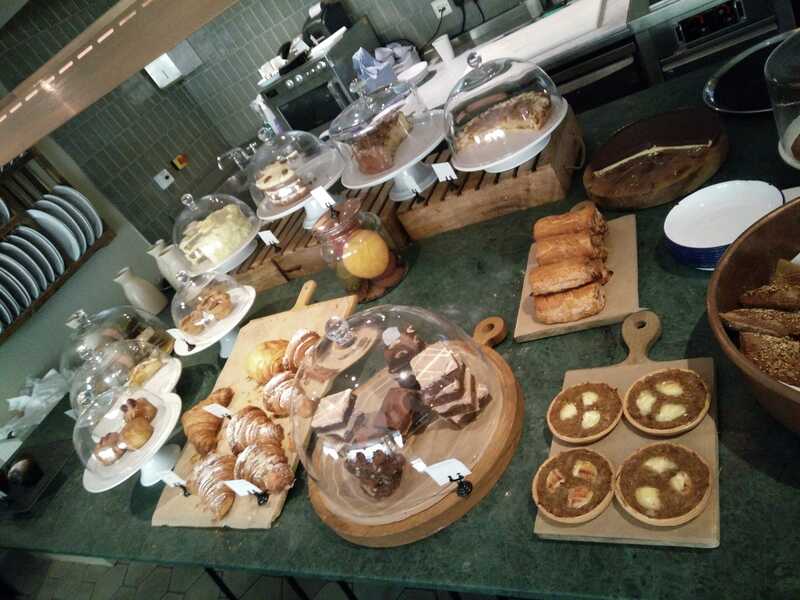 Any visit to the Olympic Studios should not just be about cinema but should rightfully begin and/or end with a visit to its restaurant, which is open from breakfast until dinner. 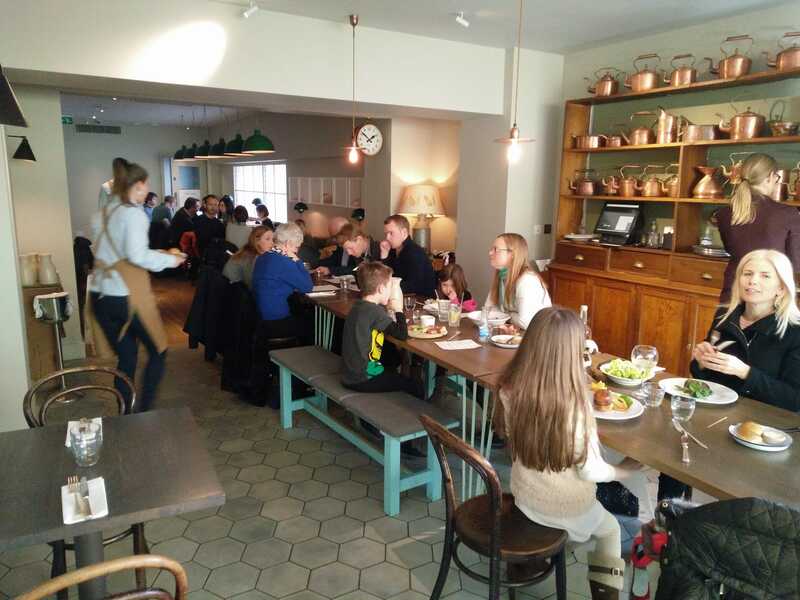 It is a popular spot for locals, so tables go fast, but the place never feels cramped and the service is unfailingly friendly. The chef, Andreas Engberg, has worked at some of London’s finest dining establishments, as well as a a stint at Copenhagen’s renowned Noma. 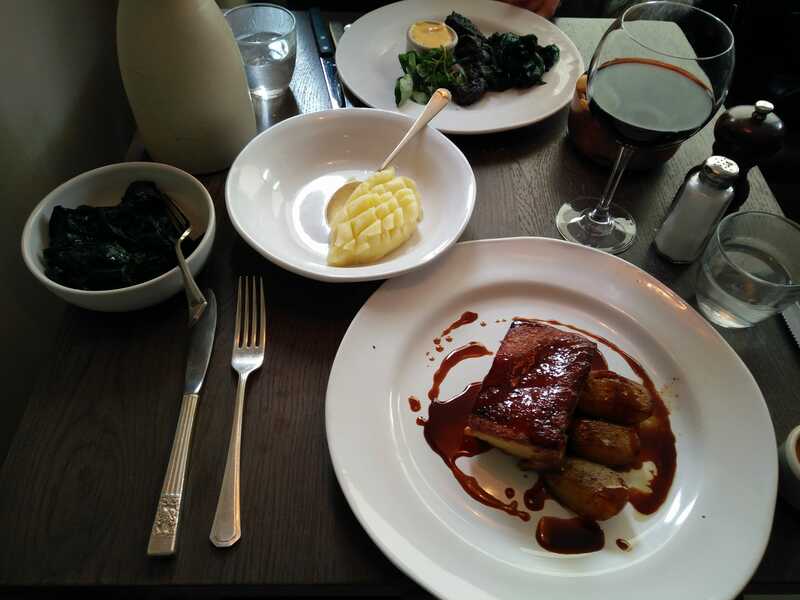 It proved a perfect spot for a weekend lunch with generous portions cooked superbly, with grilled squid for starter, followed by pork belly with a side of sautéed spinach and creamy mash, paired with a warming glass of Chilean Siete Soles Cabernet Sauvignon – Merlot. Skip the desert, though, because the cinema’s concessions counter is equally a must. 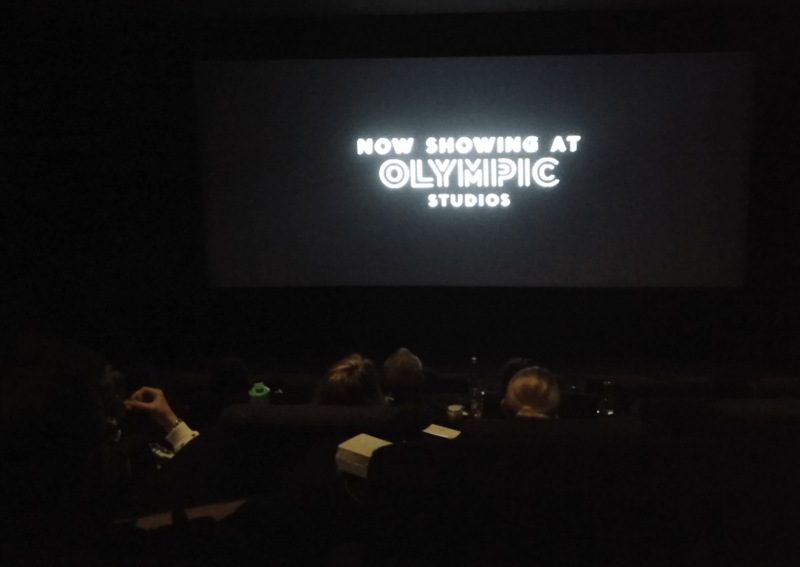 For locals and regulars it is worth joining the Olympic’s Film Club, which offers various membership benefits, such as priority bookings and special events. Yet for those that truly want something special there is the Private Member’s club, with its own club room and the Music Room where members can drink, socialise, work or hold a private meeting or event. 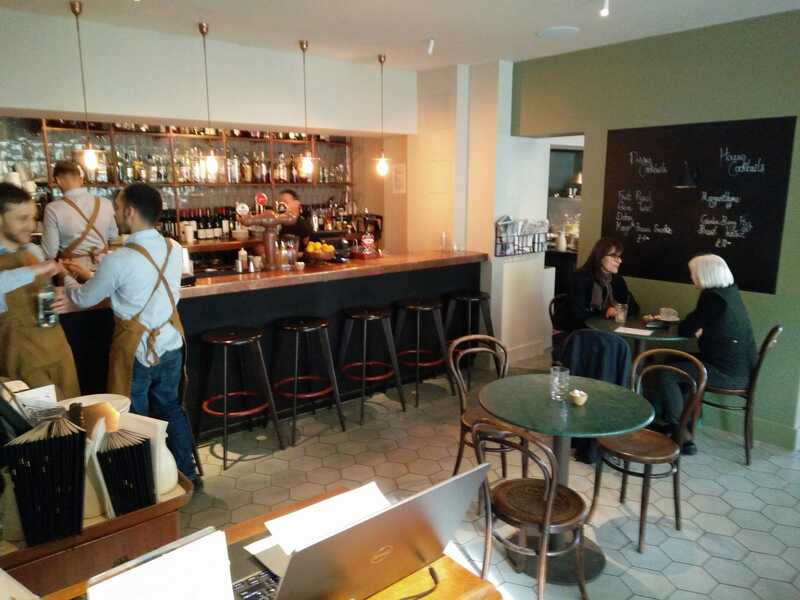 With plenty of Private Members’ clubs in central London, it tells you something about this place that it can charge a GBP £500 (USD $623) annual fee and still currently have a waiting list. But you don’t need to be a member to enjoy the best that the Olympic has to offer; the cinemas. 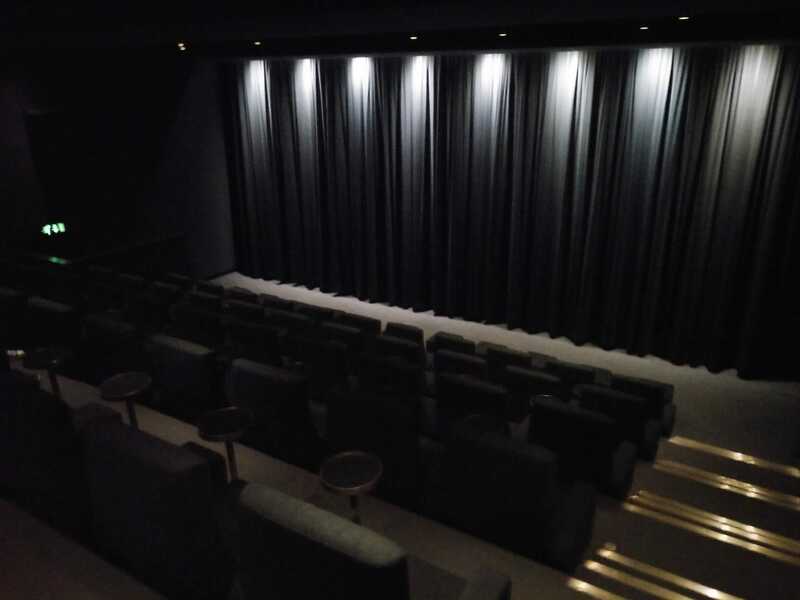 Sadly on the day that I visited I had already seen what was playing on Screen 1, which is the premium screen with red velvet loungers and Dolby Atmos. But this gave me the opportunity to familiarise myself with the smaller and cosier Screen 2. On the way there it is worth pointing out the architecture, which respects the 110+ year old history of the building combining under-stated art deco touches of brass, together with discreet modern twists, all wrapped up in a calm deep blue colour. 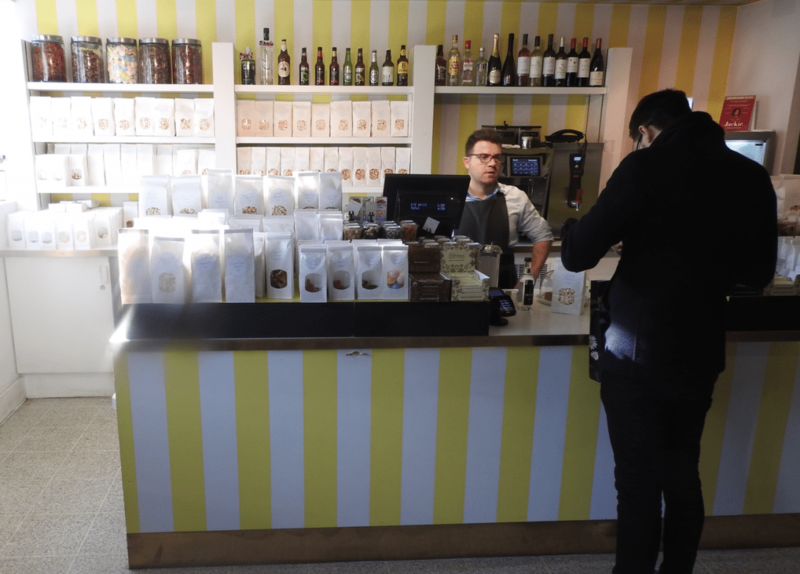 But the place truly comes alive on the upper floor with the brightly candy striped concessions counter. The decidedly retro bar offers both pre-packaged popcorn (in salty, sweet, salted toffee and sweet & salt combinations – “Lovingly popped by hand in Portobello”) and traditional English sweets in windowed paper bags, in addition to chocolate, ice-cream and a wide selection of soft drinks, coffees, wines and spirits. A flat fee of GBP £3 (USD $3.74) for the popcorn, GBP £2.50 (USD $3.11) for the ice cream and less for the sweets makes it an irresistibly good value. Watching “T2 – Trainspotting” seemed a particularly appropriate film choice, given that it is a film and sequel that is so heavily centred on music. Iggy Pop may have recorded “Lust for Life” in West Berlin’s Hansa Studio, but “I Got a Right” and many other of his and the Stooges’ songs were laid down just a few meters from where I was sitting so comfortably. It seems redundant to say that the sound and image were both first rate to the point where I could have been in the well-callibrated screening room of a Hollywood studio. 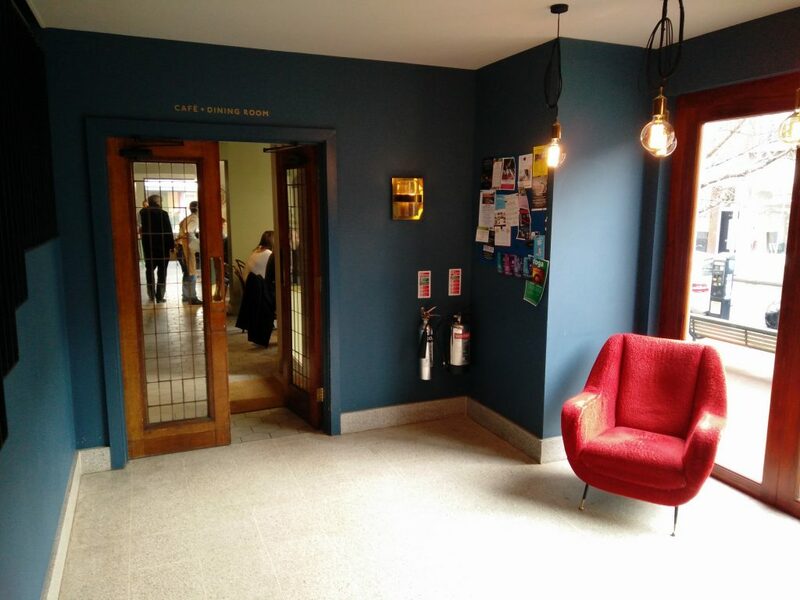 You can read an interview with interior design consultant Simon McEwan that details the extensive work that went into retrofitting the building, which had seen countless changes both before and during its time as a recording studio. The intention was to avoid doing any type of “pastiche” but instead sensitively restore or recreate, as close as possible, what the original intentions were, including the use of reclaimed material. There is not a single place in the Olympic Studio where you don’t feel this effort. Even the restrooms have an understated elegance. As you leave you are tempted to have a peak inside the Member’s Bar, just in case Mick, Keith or any other rock royalty happen to be revisiting their old stomping ground, now in an even more luxurious and relaxed manner. This is not just a cinema for locals but one worth going out of your way for when you are in London. Wrapping up against the winter chill outside it is hard not to feel that you’ve not just been to a first rate cinema but also visited the former abode of rock gods. It’s almost as if they were still there looking down on us. Wait, no, there is someone looking down us from the roof of the building. Or is it something? It’s got a mask and wings. 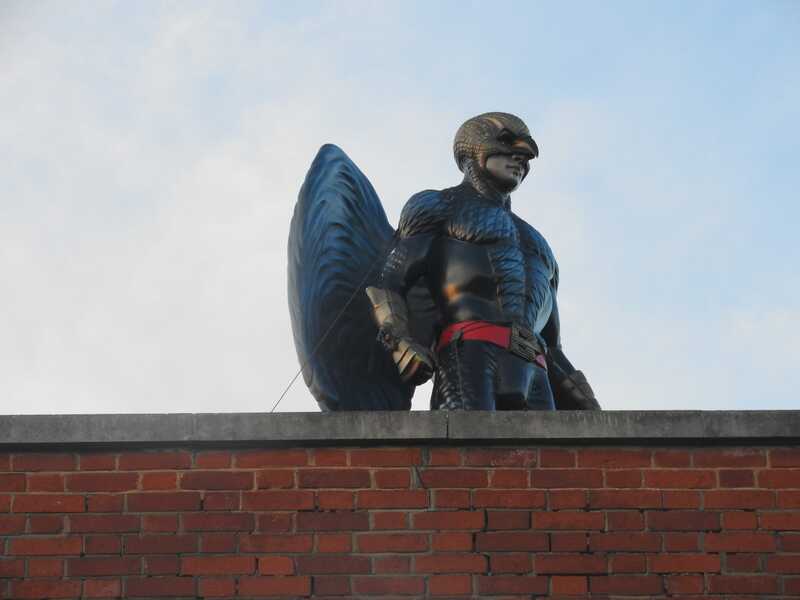 Yes, that really is a statue of Oscar-winner “Birdman” perched up on the roof. Don’t ask why, just go with it; it’s cinema and rock ‘n’ roll. And we like it very much. Celluloid Junkie selects the CJ Cinema of the Month based on our own independent survey. We always pay for our own tickets, popcorn and Cabernet Sauvignon – Merlot, and visit the cinema in a ‘mystery patron’ capacity in most cases. Whenever possible we take our own photographs of a cinema in lieu of corporate stock photos. Thus, sometimes you get authenticity at the expense of focus. Our impressions may be subjective, but we always try to be fair and factually accurate in everything being presented about one of the cinemas we have chosen.